A. Kamińska-Ostęp, Zastosowanie konstruktywistycznej koncepcji nauczania w uczeniu się chemii uczniów z dysleksją. Chemia bliżej życia. Kształcenie chemiczne w dobie reformy edukacji. Poznań 2012. s. 73-80. A. Kamińska-Ostęp. Stosowanie technologii informacyjnych przez gimnazjalistów w życiu i w edukacji przyrodniczej. Człowiek, Media, Edukacja pod red. J. Morbitzera i E. Musiał. Kraków 2013, s. 173-184. Baryła, S., Kamińska-Ostęp A., Kuśmierz K., The Implementation of Selected Module of the PROFILES Project in Poland. w: Enhancing Inquiry-based Science Education and Teachers’ Continuous Professional Development in Europe: Insights and Reflections on the PROFILES Project and other Projects funded by the European Commission (Eds.) Bolte, C, and Rauch, F., Book of invited presenters of the 2nd International PROFILES Conference 25-27 August, Berlin/Germany, (2014), 226-229. Kamińska-Ostęp A., Pupils’ own work as the form of chemical education individualization. 6th International Conference Research in Didactics of the Science 25-27 June, Pedagogical University of Kraków, (Book of abstracts ), Kraków (2014) 29. Kamińska-Ostęp A., “How to use cleaning agents in the effective and safe way” – teaching by discovering. 6th International Conference Research in Didactics of the Science 25-27 June (Book of abstracts), Pedagogical University of Kraków, Kraków (2014) 78. Kamińska-Ostęp A., Effects of Individual Pupils’ Work on Becoming Interested in Chemistry and Learning Effectiveness. 12th European Conference on Research in Chemistry Education (ECRICE2014), 7-10 July Jyväskylä, Finland (Book of Abstracts), (2014) 91. Kamińska-Ostęp A., The role students’ individual work in teaching and learning chemistry. w: Research, theory and practice in chemistry didactics. 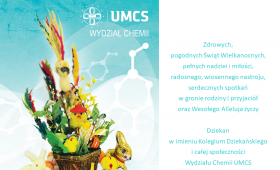 Proceedings of the 23rd International Conference on Chemistry Education, Hradec Králové, IX – 2014, (2014) 115-125.